Daily cleaning is crucial to maintaining a professional appearance and preserving the integrity of the hard surface flooring in your business. Over time, your floors can lose their luster as customers, employees, and visitors track dirt, dust, and debris into your building. 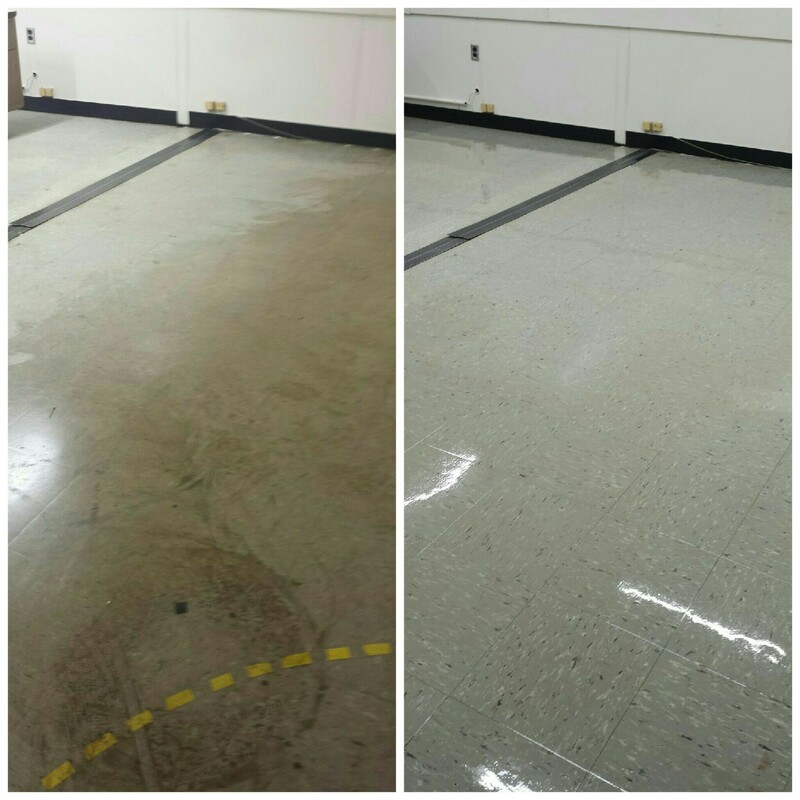 To prevent permanent damage from occurring, your hard surface flooring requires periodic deep cleaning, refinishing, or re-coating performed by a specialty hard floor care professional in order to maintain a clean, attractive, and shiny appearance throughout the year. A Klein Company is, notably, the local strip and wax vinyl composite tile expert who knows exactly what it takes to care, maintain, and refinish vinyl composite tile floors the right way. 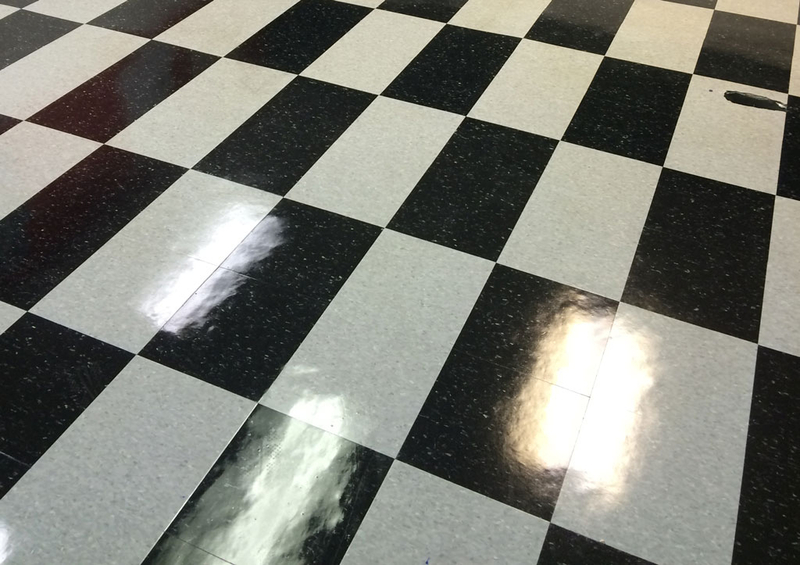 We have waxed and refinished newly installed VCT and corrected many an improperly executed job. Our 30+ years experience stripping and waxing literally thousands of floors across Metro Detroit has allowed us to develop well-honed techniques that produce an impeccably glossy finish. Click here to learn more about our floor refinishing process, pricing guidelines, and scope of work. 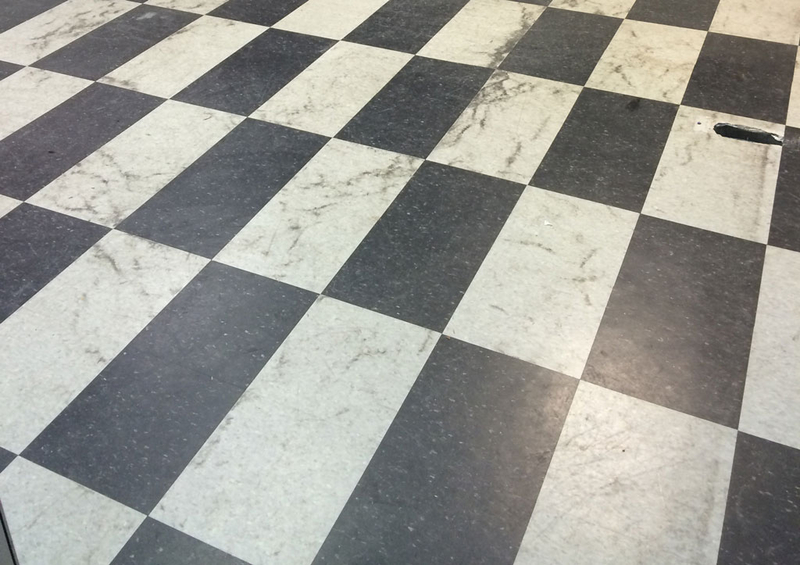 Light scrubbing and full waxing of newly installed VCT vinyl tile is a specialty. Let us demonstrate how our commercial floor cleaning services can benefit your company. Schedule a free, no obligation walk-through and estimate. Call us at 800-750-5650 or fill out our web form. 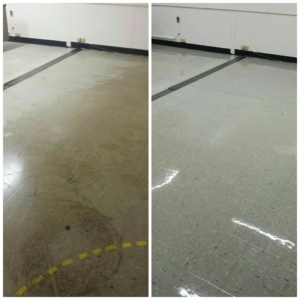 *Minimum charge for commercial and industrial VCT floor stripping & waxing is $400.00 – $450.00 depending on your location (we service most of SE Michigan). NEW OR LAPSED CLIENTS: As of Spring 2018, any initial FULL strip and wax job for new clients with measured areas of VCT under 5,000 square feet will be quoted no less than *** 75 cents *** per square foot. There are never additional charges for weekend, evening, or overnight work. If you were a former client that has used another company to service your floors since we last did the work, we may need to reinspect the condition of your floors and adjust your rate to our new initial pricing. Please call us for a free onsite evaluation to provide you with an accurate final price for your VCT and other hard floor surface cleaning. Sorry, we do not service residential spaces. Find out more about our pricing guidelines and the full scope of our work here.